After a rainstorm is one of the best times to break out the camera and start shooting. 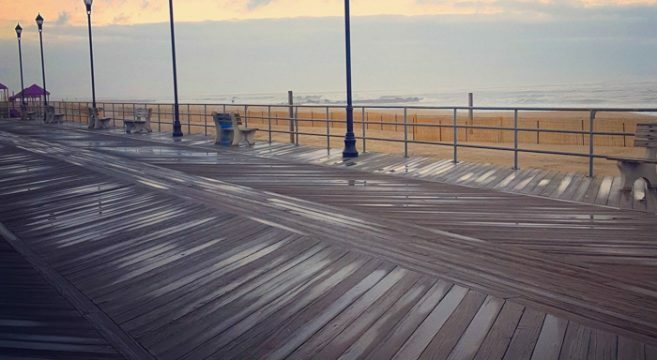 The reflective nature of the damp boardwalk, the deeply saturated sand and the dramatic clouds with the sliver of sunlight over the ocean in Asbury Park make for a very pleasing shot. 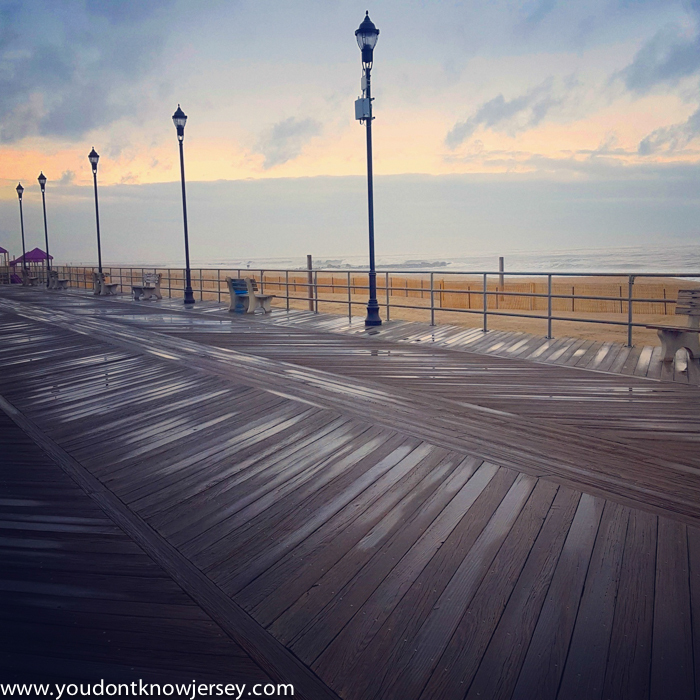 With the approaching summer months coming soon it was nice to have the boardwalk basically to ourselves on this drizzly afternoon.